Max Boost Wireless can deliver reliable Multicarrier Cellular Boosters that are Professional designed and Installed, Enterprise Wi-Fi connectivity wherever it’s needed with a complete, end-to-end solution. Our total source offer includes expert design, optimized product recommendations from the industry’s top manufacturers, innovative test and maintenance equipment, and even training and certifications to ensure you’re ready to make the most of your new network. Samsung is making some of the industry’s best Wi-Fi equipment and is one of just three distributors in the US. Samsung’s access points include state-of-art features like Intelligent Beam Selectable Antennas to optimize RF patterns, AirEqualizer integrated traffic scheduling technology, and built-in Wireless Intrusion Protection Systems for security monitoring. In addition to the services and decades of experience. We are also the provider of Ventev infrastructure equipment designed specifically for Samsung Wi-Fi installations, streamlining your supply chain with a single source for everything ! Max Boost also offers leading site survey, troubleshooting, and network analysis tools from Ekahau that ensure your network is working efficiently. Ekahau’s software can conduct active, passive, and throughput surveys, and heatmap analysis for 802.11ac and 802.11n networks. 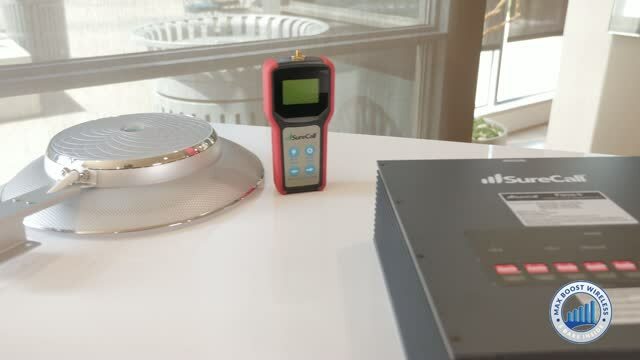 Ekahau’s spectrum analyzer can also discover, locate, and eliminate interference to maximize performance. Once your network is up and running, Max Boost Wireless can help you make sure it stays that way with training and certifications to keep you up-to-date with the latest skills, information, and best practices. Reliable, robust Wi-Fi is a must-have and Max Boost Wireless is your trusted partner for a streamlined, successful deployment for any environment. Internet of Things. Wireless Intrusion Prevention System – enables robust built in security and intrusion protection. Manage bandwidth allocation & Central Radius managing all retail outlets to deliver corporate consistency in service. The Max Boost team of signal experts has helped hundreds of companies improve signal in buildings, from 1,000 sq. ft. all the way up to up to 1,500,000 sq. ft. We've designed systems in Hotels & Motels, Homes, Warehouses, Shopping malls, apartment complexes, hospitals, Industrial warehouses, fleets of delivery vehicles, all the way down to small offices and retail stores. Get in touch with a Max Boost signal specialist and get a Free, no-obligation appraisal.